This is a bad antivirus! Worked 1 month and then disappeared in the computer access to the Internet. After removing it, I installed a trial version of nod32 who found a lot of viruses and remove them. Access to the Internet appeared. August 3rd and the link is alive and working. Thanks again, this time from my new netbook! Thanks for running this one again. I just bought a new computer and had ‘settled’ for the free version. Came across this July 14th and it still works fine (I elected the Pro version as I don’t need the firewall). These serials are until 2015. Cheers! Sorry Robert, these are illegal keys. I have removed them. Thanks anyway and have a lovely day! The download file is broken. After downloading the file I went to install and the file doesn’t expand completely – it says that the “resume file” is missing and aborts the installation. Anyone else running into this problem? I am a convert from Avast Antivirus as Avast has become too intrusive for my liking. I had previously used this giveaway and found it ran without a problem or without slowing down my system. As I now have a new computer I’m hoping this renewed giveaway will work for me. Will report back here either way. Dear susan, I don’t understand how they could say that then. The giveaway is organized by AVG for Huawei dongle users and the download links are available directly from official website. If they think it is a “scam”, then they can simply removed the giveaway installers from their site or put them in a page with practically locks or login credentials required to access it. Dear Susan, this free 1 year trial is actually intended for Huawei dongle users but it works for everyone :). So it is not complete legal if you are not a Huawei dongle users. I downloaded this same offer from mostiwant in September, 2013. It was easy to download and obtain the activation code. It was easy to install on my Win7 64 bit system with 4GB RAM and dual core AMD processor. The program is easy to set up and configure according to how I want it to run. It automatically updates itself constantly during each day. It runs automatically according to the schedule I set. The program has found and protected me from viruses and other malware. 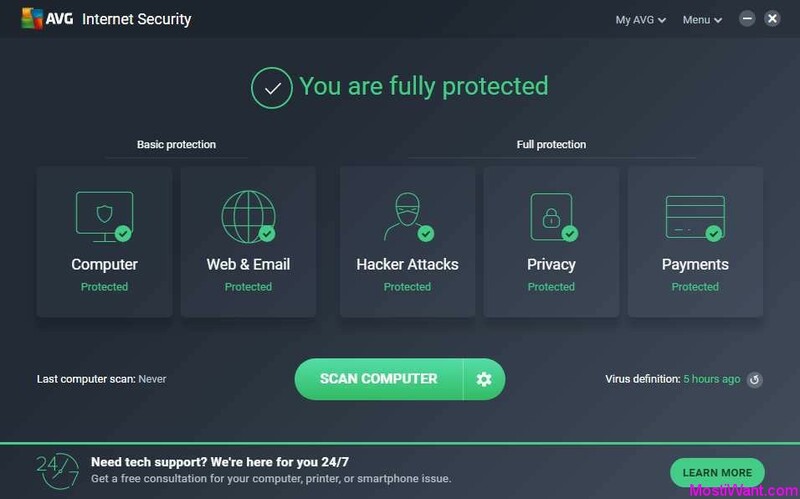 I have been buying this same program with all the same features from AVG for several years because of a recommendation from a programmer friend who helped develop the McAffee antivirus program. I have nothing against McAffee, and have tried their AV program, but it simply did not work very well with my system. I recommend this program highly. You might want to download it and try it out. If it works for you as well as it works for me, great. If not, it was free and worth a try. I have just tested it again in VMware and get full 1 year (374 days) trial for free. I do not know why it does not work for you. May be this offer is not available in your country. I HAVE USE AVG INTERNET SECURITY 2014 FOR 30 DAYS TRIAL VERSION,SO I WANT TO AVG INTERNET SECURITY 2014 1YEAR SERIAL KEY AND 2018 YEARS EXPIRE DATE AVG INTERNET SECURITY 2014 SERIAL KEY, PLEASE…………………………………………..
Dear MANIKANDAN, you may try completely removing avg trial version and then install this one year version. Please try the AVG Remover utility which can be downloaded here. Make sure to use either the 32-bit or 64-bit version, depending on your operating system’s architecture. 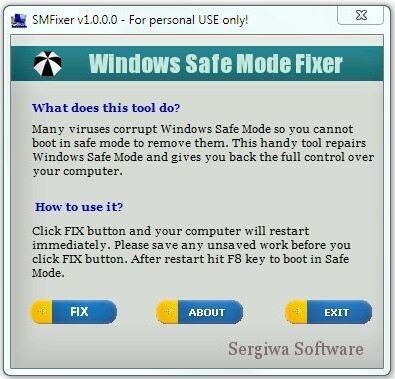 The whole uninstallation process involving the AVG Remover utility is described in details in this AVG Forums article. This worked for me at least. I am not able to find any avg internet security 2014 of license period of 1 year, link given by you is of 30 days trial version. can you give a link of avg internet security 2014 of license period of 1 year? Dear Rohit, I have double checked that the download links given in the post are for 1 year (374 days) trial . They worked for me and for many other visitors. I do not know why it does not work for you. Have you ever used a AVG 30 day trial version before? Thanks william… for your help. by the way.. Saibal is my brother :). hv a nice day. Oh, I am sorry … You are always welcome:) Happy Halloween & have a nice day! According to AVG, “broken digital signature” is only information result type. Some files are digitally signed, for example to prevent it’s changes. However due to changes to it, the certificate no longer corresponds with the content. This might happen when file is infected but also when it was incorrectly updated, broken due to some error or when the digital signature expired. Since AVG’s detection capability of digitally signed files is subject to further improvements, they disabled the “Remove selected” or ” Remove All” option for such type of risk. If you have downloaded the file from a trusted site, you can just ignore this Scan Result. If you do not trust the file, then you can manually delete it. By the way, this free one year version does allow us to remove/delete the detected threats. Proofs has been sent to you by email. yes of course dear friend William. but how can i send a screen shot ??? please give me your email address, so that i can send a screen shot of this software. Dear Sonia, Please to mostiwant(at)gmail.com, thanks! i have installed this in my pc. 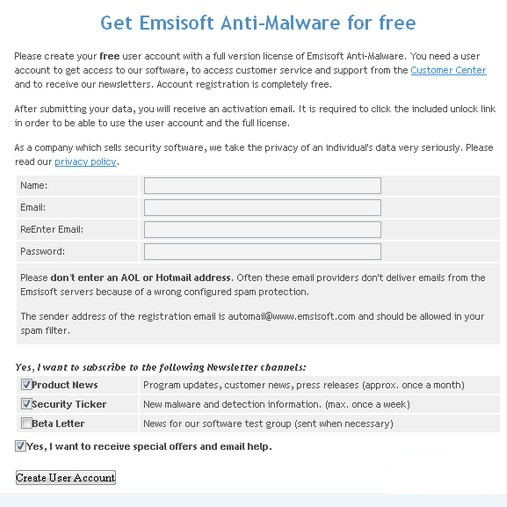 But this 1 year free version is unable to remove/delete any detected threats . Isn’t a big problem ???????????? so, how can i remove the threats from my computer ? @Sonia, Could you please sent me a screenshot of this and I will try to figure it out. Dear Charlie, sorry for the delayed response to your comment as I have to try it out on my PC. And here is my result: yes, you can intall the free 1 year trial over the free version with its extra features. No need to uninstall the free version first! Sorry jack, these are illegal keys. I have removed them. Thanks anyway and have a lovely day! Why you no put image on posts ?!?!?!?!?!? Dear tony, sorry but I do have uploaded four images for this post. Do you have any problem viewing them? Anyone here used AVG in the past few years? I wonder how it compares to avast! free edition. Years ago AVG was my go to, but I’ve been in the avast! camp for about 6 years now. I realize the key offered here is for the paid version of AVG, but paid doesn’t always mean better. Dear Smegma, I can’t give you good advice because I have been in Avira in the past few years. Just as an FYI, I installed the full suite first but had too many conflicts with the firewall. I could never get it to let TeamViewer through, so I went with the a/v only. So far I like it. Minimal resources, no conflicts. Admittedly, I didn’t spend a lot of time trying to get the firewall to play nice since, so it’s probably fine if you spend a little more time with it than I did. Dear Smegma, Thanks very much for sharing your experience of AVG with us. Have a lovely day! Thank you for another good giveaway, William, but I have a question: if I install AVG IS 2013 previous giveaway, and when it expires in one year install this one, will it give me another full term? Dear Jack3, sorry I have not tested this. But it SHOULD work as long as you have COMPLETELY uninstalled previous version. Does this really work, this or antivirus? I have a software security program that I am not really satisfied with at the moment. Looking for something that works and is better. Well, at least work for me. Hi Oseng, sorry but i don’t quite understand what you mean. In my pic, the firewall is already activated (not need to active). I just get the computer and under that protected next Web browsing protected next Identity protected Email protected and then must come Firewall Active but i don’t see that , So can you explain the solution for it so also the firewall is active ? Dear Oseng, Please sent a screenshot of your problem to my email mostiwant(at)gmail.com And I’ll try to help. Hi Williamwhy then in the picture is it there , just schrol up and you see it , in this case which is the best this program or avast free 2013? In tis offer there is no Firewall included ???? Hi Oseng, the giveaway version is a fully function trial, and it does have firewall included. good antivirus…is not slowdown my pc and net..
June 2013 Antivirus ratings, Bitdefender blocked 100% vs AVG blocked 91.7%, with an additional 7.2% user dependent to block, leaving 1.1% compromised. The free version of Bitdefender works very well for basic users and does require registration. if you try to download, the links working ..the program comes with built-in key. Really nice find! Thank you, JC Silva! Have a nice day! Dear cheetah, What country do you come from? All download links work smoothly here on my PC. Anyway, have you ever tried the Alternative Links? If the Alternative Links still do not work for you, please let me know.